Operatives of the Edo State Police Command have arrested a 23-year-old man, Sunday Onoja, for the alleged murder of a motorcyclist in the Ovia North-East Local Government Area of the state. Sunday was said to have lured the deceased, identified as Moses Ikiri, to a farm which he (suspect) claimed belonged to him and required an inspection in Okada town. Our correspondent learnt that while Ikiri looked away, as the suspect pretended to be working on the farm, he (Sunday) clubbed him to death. It was also learnt that the suspect later buried the corpse in a shallow grave and fled with the motorcycle. 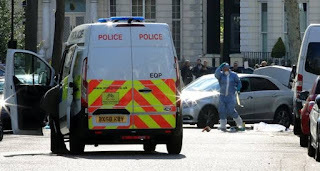 He was, however, said to have been arrested on August 8 when the matter was reported to the police. The Commissioner of Police, Mr. Johnson Kokumo, who paraded Sunday before journalists in Benin on Tuesday, disclosed that the deceased was buried in a cocoa farm near a forest. 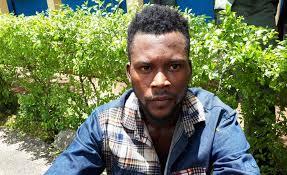 “The suspect used a hard object to hit the victim in the head, buried the corpse in a shallow grave inside a cocoa farm close to the forest and, thereafter, made away with the victim’s motorcycle. The said motorcycle, an unregistered Qlink Cruiser, was recovered somewhere in Okada town,” Kokumo said. However, Sunday explained that he committed the act to take possession of the victim’s property. He also alleged that he acted under the influence of alcohol. He said, “I hit him (deceased) because I wanted to take his motorcycle and sell it. I hit him once and he died instantly. I was caught when the person, in whose custody I kept the motorcycle, took it to a police station.